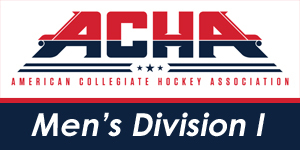 The American Collegiate Hockey Association (ACHA) began as a men’s collegiate hockey organization and was established on April 20, 1991. Fifteen charter members met during the Chicago Showcase in Skokie, IL at the North Shore Hilton. These member teams had been playing college hockey for many years but wished to legitimize its play by standardizing some of its procedures. From those humble beginnings, the ACHA now currently boasts five divisions with over 500 teams from across the nation representing 49 different states (all but Hawaii!). AHAI has compiled a list of Illinois Men and Women playing college club hockey during the 2018-19 season. There are currently over 700 Illinois men and women playing in the ACHA. Those numbers demonstrate the extraordinary opportunity that exists for players to keep playing beyond their high school years. It is from the ACHA ranks that USA Hockey selects its USA representatives for the Men’s and Women’s World University Games. While ACHA may not get as much publicity as NCAA Division I and Division III, rest assured the level of hockey played is outstanding. The buttons below represent the over 500 ACHA Club teams across the country. The young men and women rostered* to these teams compete in leagues across the country at several different levels: Men’s Division I, II and III and Women’s Division I and II. *All lists were compiled from the American College Hockey Association website rosters. In some instances, hometowns/states were not listed on a team’s roster, or no roster was available. If you or someone you know plays on an ACHA team and was not listed, please contact AHAI Communications Manager, Gretchen Cockey at gretchen@ahai2.org.